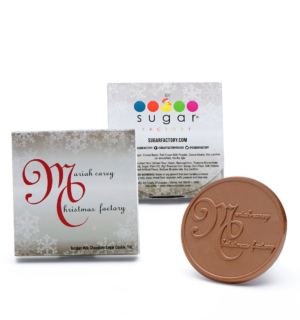 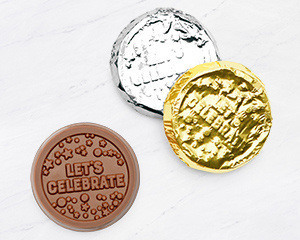 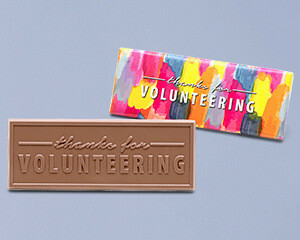 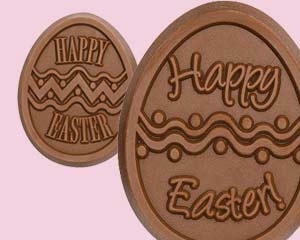 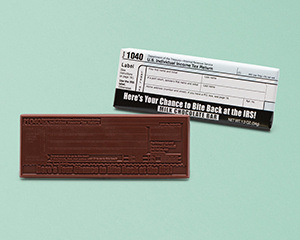 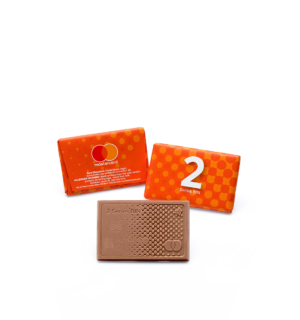 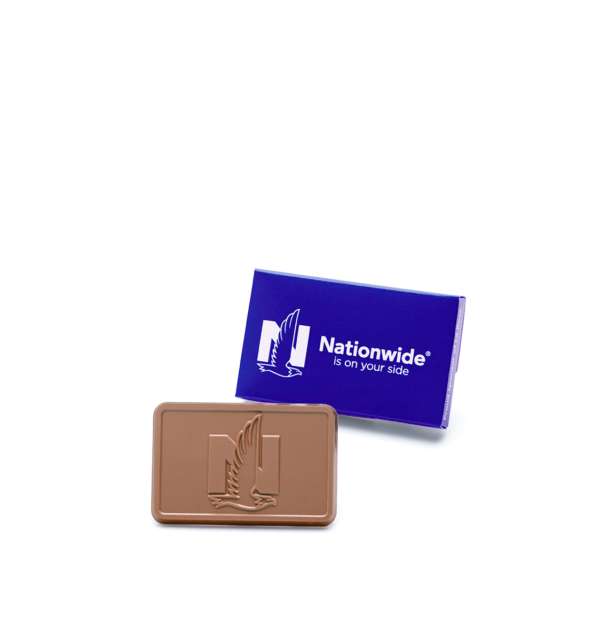 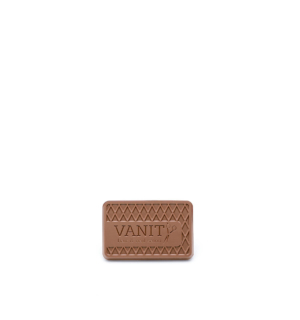 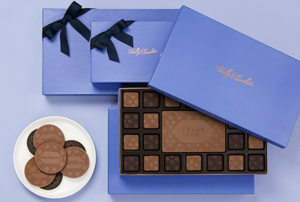 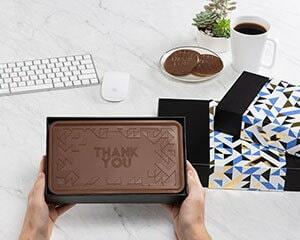 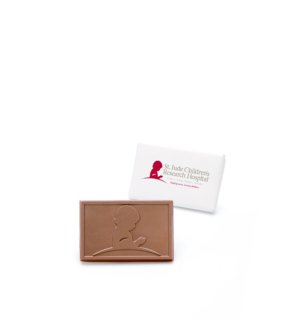 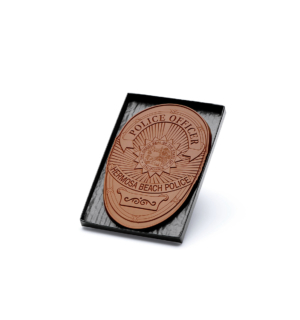 A business card with real impact: engrave your contact details and logo in chocolate! 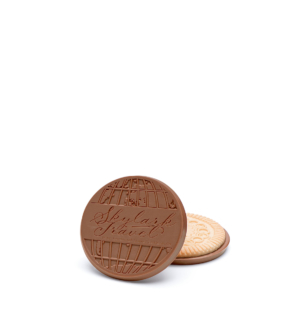 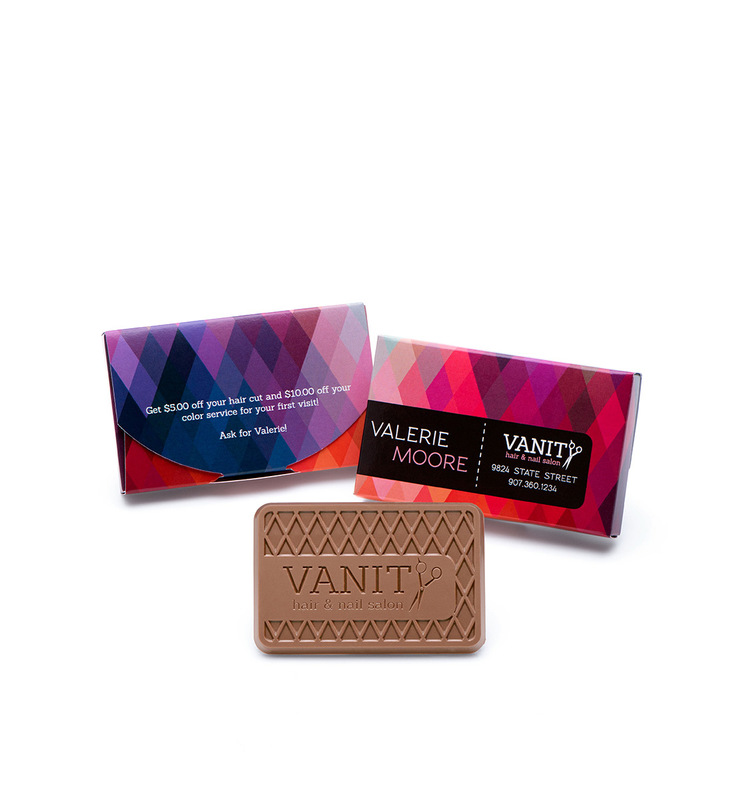 Make a statement with our impressive Belgian milk or dark chocolate 2×3” business cards. 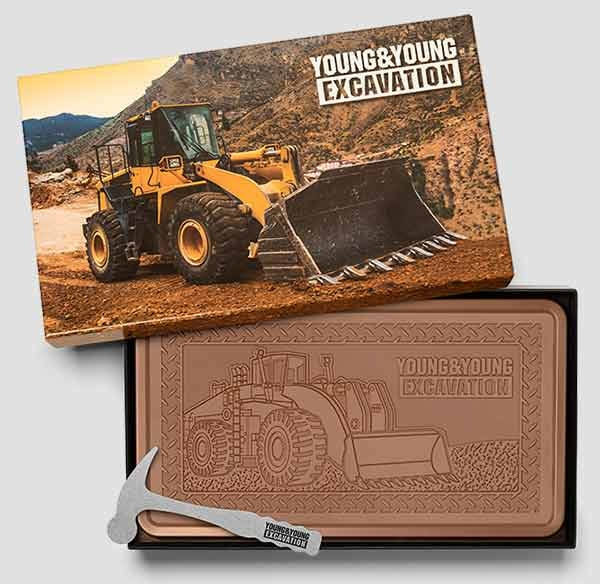 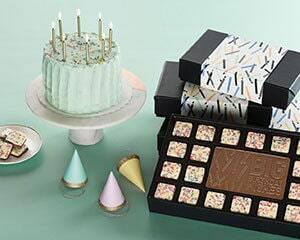 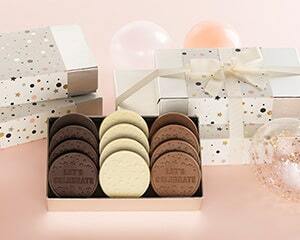 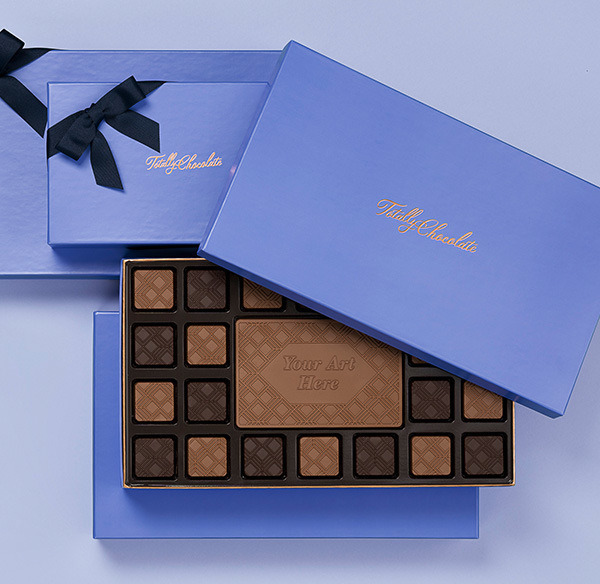 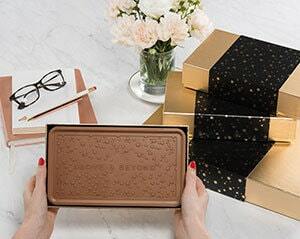 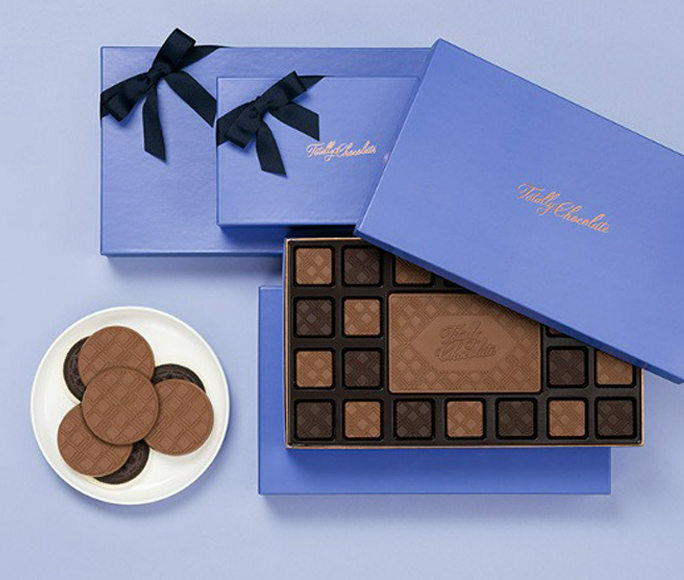 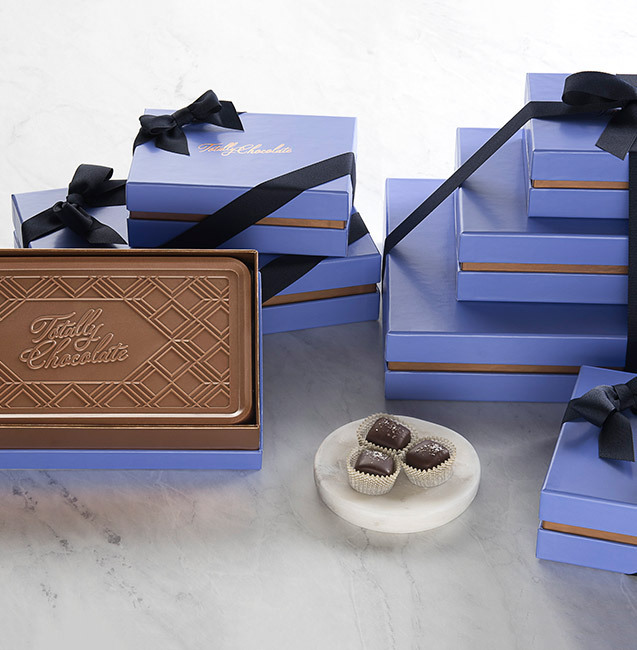 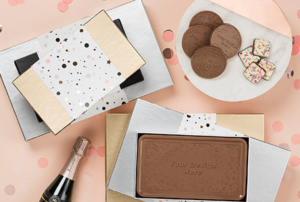 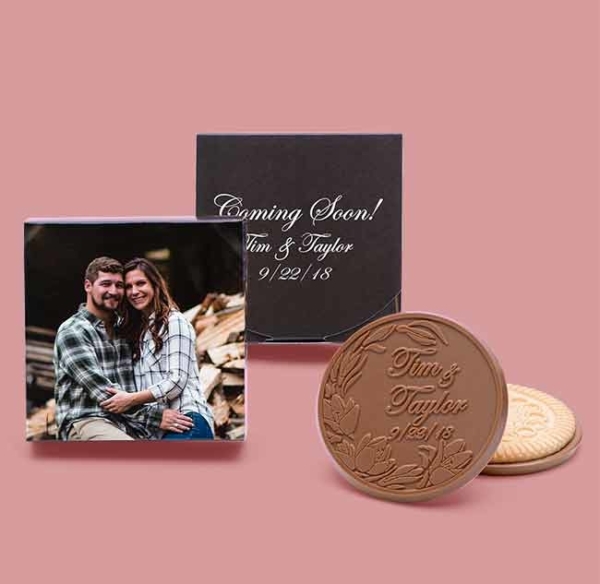 Your full color custom printed box gives you the ability to tell your story, and the clear cellophane-wrapped chocolate business card inside just makes the presentation that much sweeter! 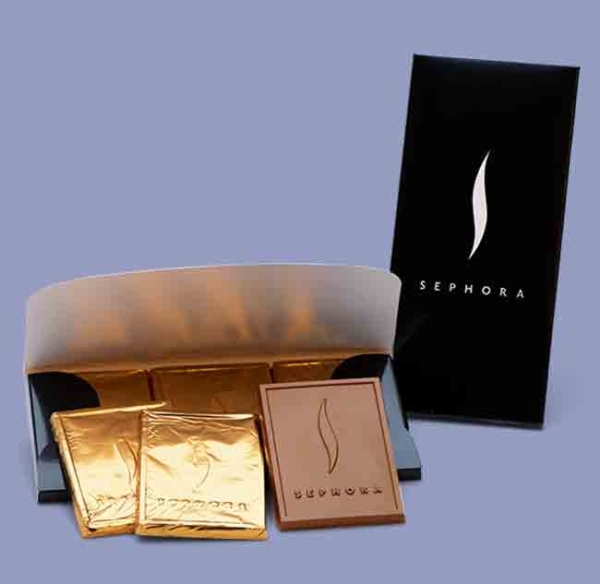 You can even slip your own printed business card into the box after receiving your order for an added special touch!